John Guandolo formerly served as a special agent with the Federal Bureau of Investigation (FBI). In that capacity, he focused on counterterrorism. John Guandolo is also knowledgeable about counterintelligence, which he frequently reports on for the online news network Brietbart. 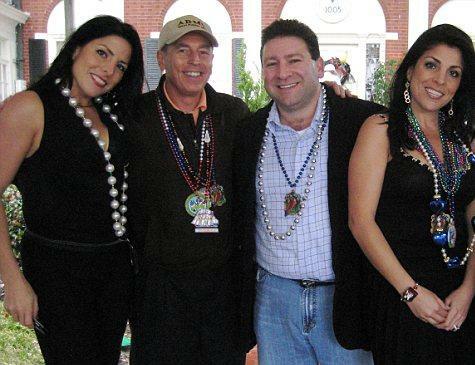 The story of Jill Kelley, published on Brietbart, offers a good example of how the American counterintelligence system is flawed. While there are no indications that Ms. Kelley committed acts that would harm Americans, her ability to gain access to high-level U.S. officials is worth discussing. Ms. Kelley, formerly Jill Khawam, is of Lebanese descent. She married a Florida oncologist; together, the couple has hosted numerous social gatherings in their home. Their guest lists have included high-level military and government officials, many of whom do not hesitate to respond immediately when she calls. Unofficially, she served as an unpaid social liaison, according to the U.S. military. The U.S. Central Command described her as a volunteer and private citizen. Ms. Kelley appears harmless. She carries herself well and easily earns the trust of others at her social gatherings. From the standpoint of national security, however, she raises many flags, which were not addressed prior to her gaining access to influential members of government. A background check of Ms. Kelley never occurred because she presented herself in a kind and likeable manner. However, her actions resemble those of a person conducting an intelligence-gathering operation for the Russians or the Muslim Brotherhood. John Guandolo Create a free website or blog at WordPress.com.